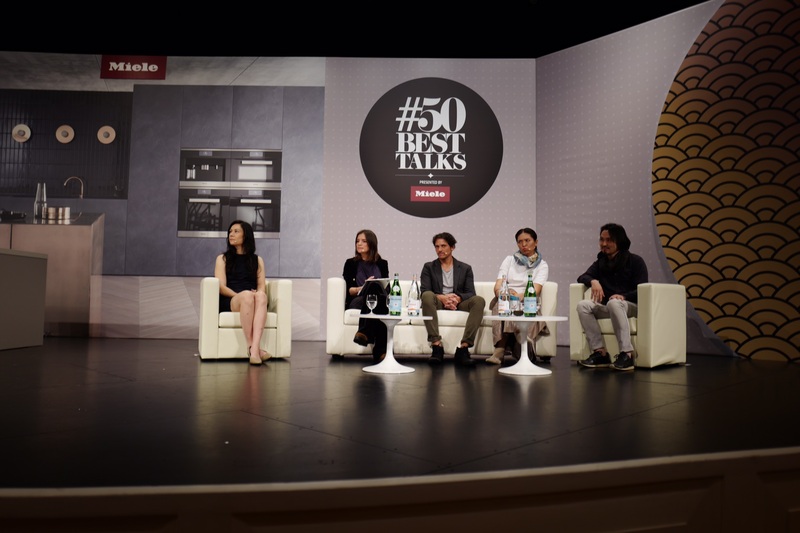 I am lucky to be part of The World’s 50 Best Family, for a few years now. And I must say each gathering is bringing not only excitment but perspectives about the interesting food scene. 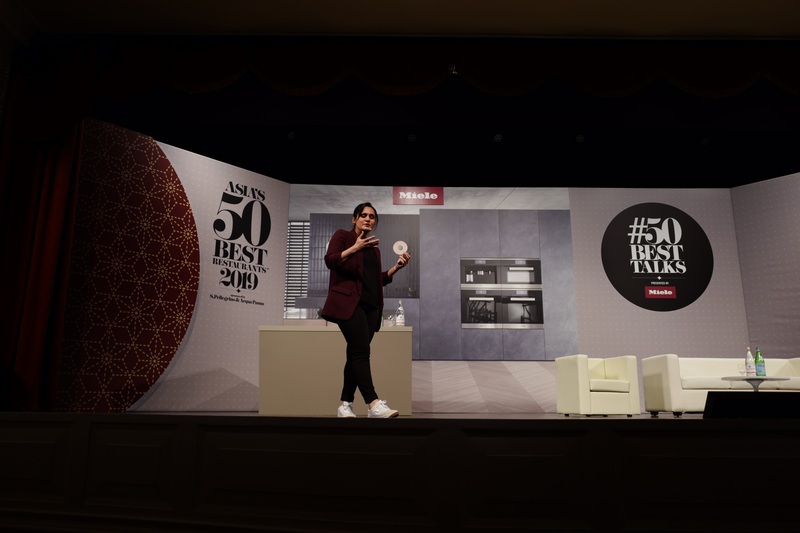 During the Asia’s 50 Best talks in Macau, the conference organized before each 50 Best’slist announcement, I attended the presentations they organized around the theme of the ‘vital ingredients’. 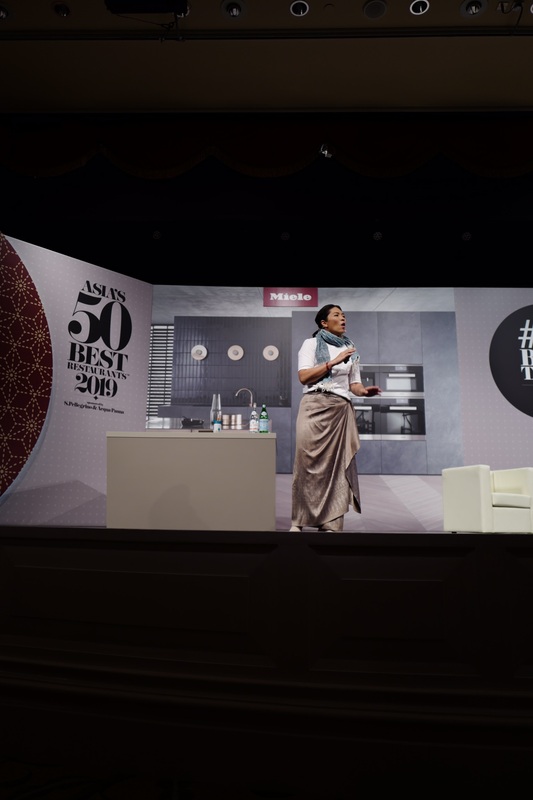 On stage, Asia’s Best Female Chef 2019 Garima Arora of Gaa restaurant in Bangkok began her talk explaining the role of spices during her childhood in India, saying that each house in the country had its own collection of herbs and spices, to be cooked and prepared for each occasion in life. In her restaurant Gaa, she uses the most important thing she has learned through spices’ tastes: food pairings the different flavours, highlighting the positive of each ingredient with another, as she has been doing in her signature dish “strawberry and caviar”. Then, pastry chef of Il Ristorante Luca Fantin in Tokyo, Fabrizio Fiorani, talked then about his “vital ingredient”, sugar, explaining the construction of his dessert ‘Zucchero’, using sugar as the main ingredient, and not as something to avoid. The third part of the speeches was held by the female Thai chef Bo Songvisava from Bo.Lan restaurant in Bangkok who oriented her speech about the beauty of her « vital ingredient »: the salt. From the Ancient Egyptian salt to the Japanese culture where salt is still used to wish good luck before the game starts, the necessity to eat salt has always been a priority for our health, in order for our body to function properly. She reminded us we can find salt – which enhances both tastes and flavours – in many other aspects than table salt, such as in seaweeds and vegetables. Bo was concerned about the fact that the sources of salt – both from the sea and the land – are highly polluted with plastic, of which 90 percents can’t be recycled… “Every day, Microplastic get into our food and drinkable water and inside our body without even realizing it…” stressing the fact it was just the tip of the iceberg, as pesticides and insecticides are also getting into our soils, and water. As you can observe, the global subject that was present in every single talk, was about the most essential ingredient for us all: our nature. As it is impossible to ignore today the sustainability subject, which is not a question of quantity, but a question of the quality of distribution of the food. Of course this subject is concerning me a lot. 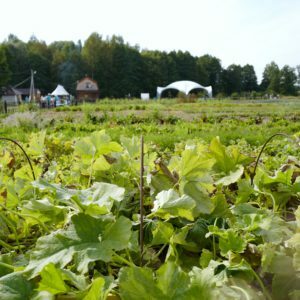 And I believe the only way to feed the population sustainably and healthily with an efficient distribution and production, is to begin with optimizing the diversity of fresh food within the local areas and the involvement of small producers. In order to operate, I believe it is important to invest chefs in the role models in that perspective, in order for them to bringing their passion and dedication into healthier food. The session of sustainability was all about the subject: “How can we survive if we keep using current industrial practices?” with a prestigious panel of experts on stage: the chefs Bo Songvisava (Bo.Lan, Bangkok), Rodolfo Guzmán (Boragó, Chile), Shinobu Namae (L’Effervescence, Tokyo) and the forager Valeria Mosca (Wood*ing wild food lab, Milan), who exposed their position about the subject. And as activist Helen Keller once said “Optimism is the faith that leads to achievement…” and I do believe deeply in the positive evolution towards the achievement of sustainability.